Farrar, Straus and Giroux (BYR), 9780374343842, 144pp. When sixteen-year-old Sally Jo Walker, known as Jody, is abandoned at a gas station by her husband after he hits her, she summons up all the courage she can to move forward. With just twenty dollars to her name, she begins a new life in Jackson Beach, Florida, washing dishes at Thelma's Open 24-Hour Café and sneaking into the cineplex at night to sleep. Eventually she saves up enough money to rent a cheap motel room. There she gets to know Effaline, and comes to see that here's a girl who is more alone and lost than she is. Jody is going to save her. And in trying to do so, Jody might just save herself. 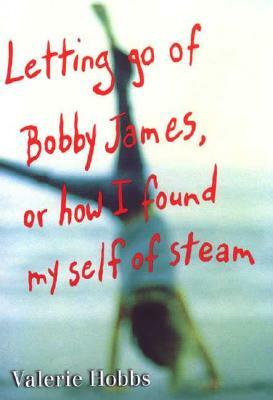 At turns heart-wrenching and funny, Valerie Hobbs's latest novel introduces readers to an unforgettable and surprising young woman who manages to break free of an abusive relationship and finds true strength and her "self of steam." Valerie Hobbs is the author of many acclaimed books for young adults, including "Sonny's War" and "Tender." She lives in Santa Barbara, California. "Sixteen-year-old Texan Jody finds herself all alone in a "foreign state" (Florida)...Jody makes it a memorable tale, narrating in a voice full of generosity and humor."